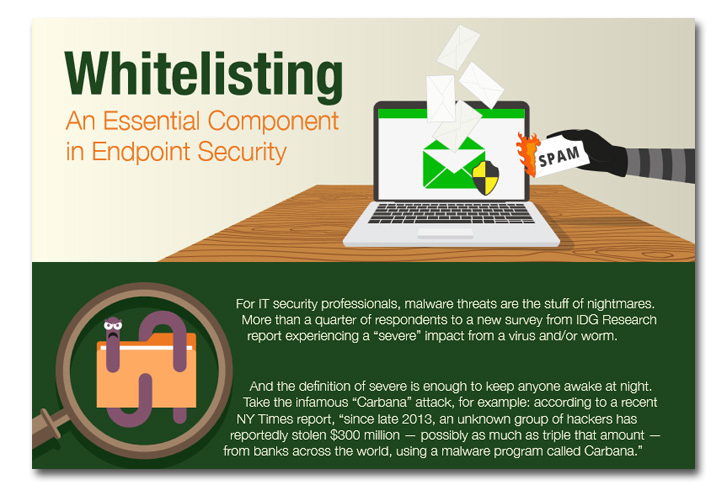 Learn how whitelisting is superior than blacklisting in preventing cyber attacks and is the preferred choice of IT professionals. What layers of security do most companies deploy? What is the number and type of threats impacting PC users today? How does whitelisting compare to the outdated blacklisting model? What percentage of IT security leaders would consider a whitelist solution? Click button below to download Whitelisting paper.